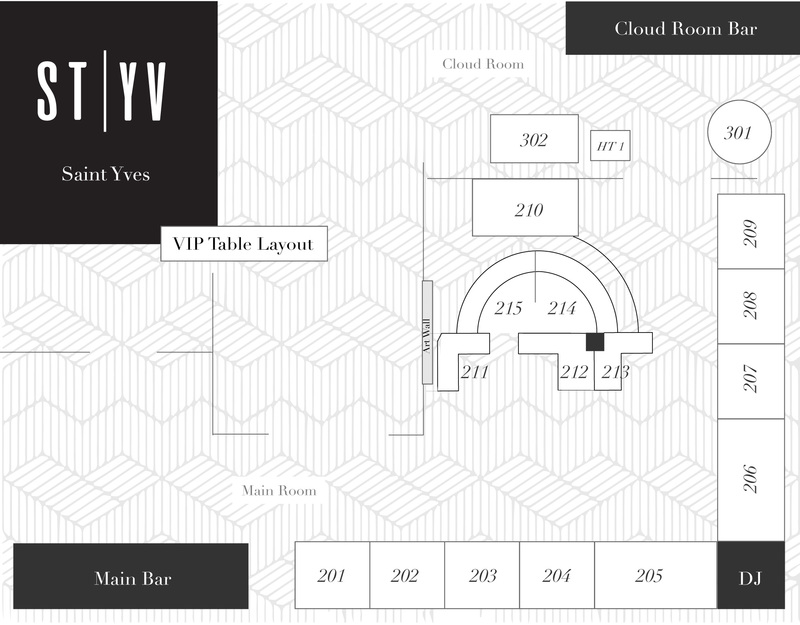 Enjoy VIP treatment by reserving one of our Bottle Service only sections for you and your party. Our tables are spacious, offer USB charging stations and coat/bag storage under seating. Enjoy premium liquor and/or champagne from your VIP table this week! To reserve a table please email VIP@SAINTYVESDC.com. View Bottle Menu here. **Table minimums subject to change based on special guests/hosts, availability or holidays.